There are a variety of reasons people might not like a certain musician. Perhaps they aren't fans of the sound of an artists songs, or the artist has been involved in controversial activity. Whatever the reason may be, Spotify users will now be able to mute artists they don't want to hear from. The popular music streaming service is currently testing out a "don't play this artist" feature in its latest iOS app, according to a report from The Verge. Once users decide to block the artist, songs from that artist will never play from a library, playlist, chart list or Spotify radio station. However, the block does not apply to songs the artist is featured in. The feature is not available across all Spotify platforms, though. While I was able to successfully use the feature on my iPhone 8 with iOS 12.1.2, I could not find the feature on my 2015 MacBook Air. To access the feature, users should first type in the name of an artist and click on the "..." button on the top right. Then, a page will appear with several options. Users should click on the "Don't play this artist" button. From there, users will be returned to the artist's home page and will receive a message that says, "Ok, we won't play music from this artist..."
Users can turn off the feature at any point by returning to the artist's home page, clicking on the "..." button on the top right corner and selecting the "Remove" button from the subsequent menu. Spotify has experimented previously with blocking certain artists from appearing in playlists. In May 2018, the streaming service made a new policy about hate conduct and content that blocked music by R. Kelly and XXXTentacion from appearing in any of the playlists under Spotify's name, like the popular "New Music Friday" and "Discover Weekly" playlists it generates and promotes on the home page. This move followed news of two new women accusing R. Kelly of sexual coercion and physical violence a few weeks prior, and of the late XXXTentacion being charged with the aggravated battery of his pregnant former girlfriend. Spotify ultimately reversed its original policy a few weeks later, noting that the "language was vague and left too many elements open to interpretation." In response to the history of allegations of R. Kelly's abuse, a "Mute R. Kelly" social media campaign arose in 2017, encouraging boycotts of the rapper's music and performances. The controversy surrounding R. Kelly has grown since the start of this year, as Lifetime aired its docu-series "Surviving R. Kelly," which investigated the rapper's past. Some Spotify users have taken to Twitter to express their satisfaction with being able to mute R. Kelly. 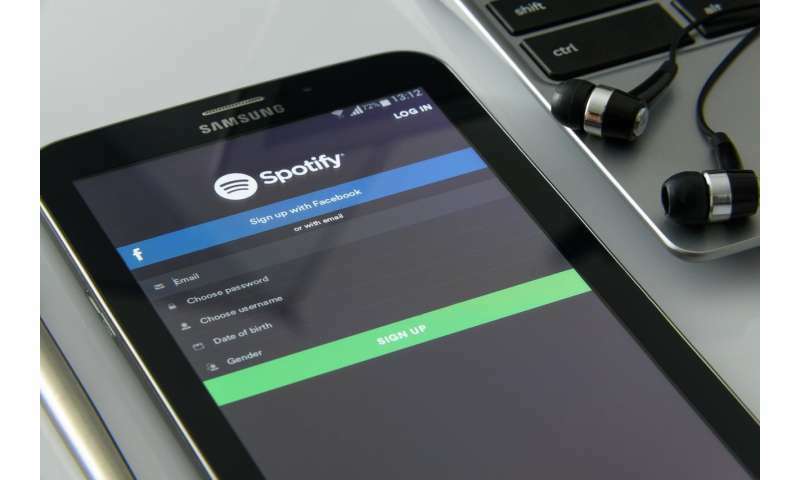 It is unclear when Spotify will expand the block feature to more devices. Spotify did not reply to a request for comment from USA TODAY about this new feature.